What’s that on your shoes? This time you’re not tracking mud or dog waste around your lawn or house. That orange powder you’re seeing is lawn rust, a fungal disease that occurs on turf grasses. 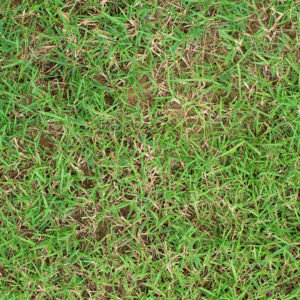 This lawn disease starts when grass growth is slowed, generally around late summer or early fall. 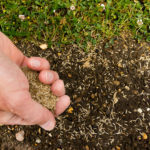 It can also be caused by environmental factors that prevent grass from growing, like periods of dry weather or when your lawn is low in nitrogen. This fungus spreads through spores, making it a quick spreader. 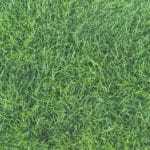 The coated leaf blades with lawn rust fungus diminish the ability of the grass to photosynthesize, leaving your weakened grass open to other diseases, pests, and turf problems. 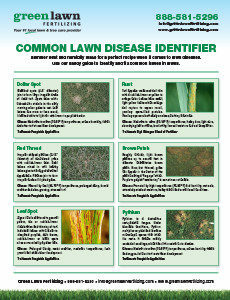 Keep Your Lawn Healthy with Help. 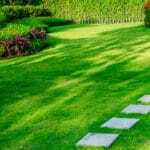 The lawn care professionals at Green Lawn Fertilizing have an entire program dedicated to making sure your lawn is in tip-top shape. 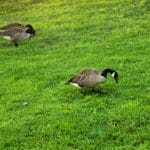 Our Green Lawn Program includes eight treatments over a year. Call us today at 888-581-5296 to get started.